Dallas is known as the home of well-known sports teams like the Mavericks and the Cowboys. However, you will need to know more than this when you decide to make the southern city your home. Moving to another city can be a frightening prospect for anyone, but this can be especially scary when you are moving from another country. Any number of problems can occur and you need to know where to turn when you need help. With this in mind, you need to create a Dallas relocation guide with resources that will keep the information you need most on hand. You may find that you have trouble with immigration once you get to Dallas. You can find a source like Canuck Abroad to help you find the right kind of help in this type of situation. Of course, you may also need lots of assistance before you even set foot out of Canada and into the city of Dallas. It helps to know what types of options you have for living, working and playing when you make Dallas your home. This means that you need to consider your lifestyle preferences and comforts when you create your guide. This is especially important when it comes to finding a place to live. 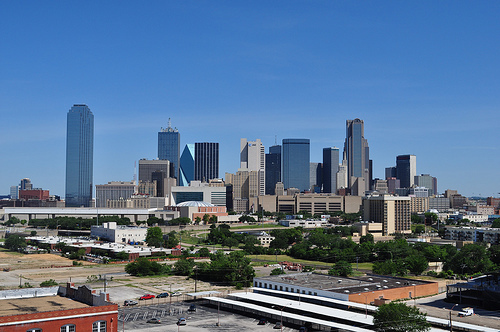 Dallas is large and made up of large neighborhoods divided into smaller enclaves. These neighborhoods include Downtown Dallas, East Dallas, Far North Dallas, Kessler, Lake Highlands, Oak Cliff, Oak Lawn, Old East Dallas, North Dallas, Northwest Dallas, Pleasant Grove, Redbird, South Dallas and West Dallas. While areas like Kessler and Pleasant Grove are residential, others like Oak Lawn and Downtown Dallas have various residential, commercial, entertainment and mixed neighborhoods. You will also want to make a guide to help you figure out what types of work opportunities are available if you do not have a position waiting for you when you arrive. You may find jobs in specialty areas like regional marketing specialists and liability claims representatives as well as many assistant and management positions for those who need entry level and mid-level career positions to help them start anew or continue on an existing career path. You should also not underestimate the importance of finding things to do when you create your Dallas relocation guide. One of the advantages of a big city is that there are lots of free things to do such as art and culture hotspots like a self-guided art walk tour or a visit to the African American Museum or the Crow Collection of Asian Art. With the nice sunny weather throughout most of the year, you can also enjoy many outdoor attractions such as the Cedar Ridge Reserve or Texas Discovery Gardens.